Energetic electrons are trapped in the Earth’s radiation belts which occupy a toroidal region between 3 and 7 RE above the Earth’s surface. Rapid loss of electrons from the radiation belts is known as dropouts. The source and loss mechanisms regulating the radiation belts population are not yet understood entirely, particularly during geomagnetic storm times. Nevertheless, the dominant loss mechanism may require an event based study to be better observed. Utilizing multiple data sources from the year 1997–2007, this study identifies radiation belt electron dropouts which are ultimately triggered when solar wind stream interfaces (SI) arrived at Earth, or when magnetic clouds (MC) arrived. 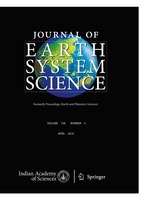 Using superposed epoch analysis (SEA) technique, a synthesis of multiple observations is performed to reveal loss mechanism which might, perhaps, be a major contributor to radiation belt losses under SI and MC driven storms. Results show an abrupt slower decaying precipitation of electron peak (about 3000 counts/sec) on SI arrival within 5.05 <L < 6.05, which persist till 0.5 day before gradual recovery. This pattern is interpreted as an indication of depleted electrons from bounce lost cone via precipitating mechanism known as relativistic electron microburst. On the other hand, MC shows a pancake precipitating peak extending to lower L (Plasmapause); indicating a combination of electron cyclotron harmonic (ECH) and whistler mode waves as the contributing mechanisms. Center for Space Research, School for Physical and Chemical Sciences, North–West University, Potchefstroom 2520, South Africa. School of Chemistry and Physics, University of KwaZulu-Natal, Durban 4000, South Africa.